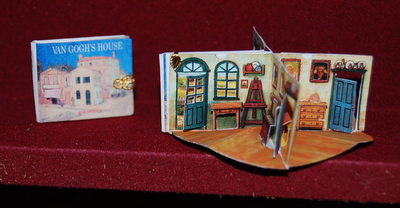 I'm a little late in posting about our trip to Kensington Dollshouse Festival. However I want to share some photos of just a small portion of the fantastic work that we saw at the festival. We had a short, but pleasant trip to London. 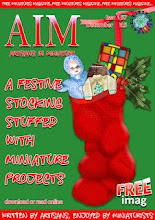 It was our first time taking part in the Kensington Dollshouse Festival. We shared a table with Andrea Thieck, whom I think is one of the most stylistically diverse artisans I've met. 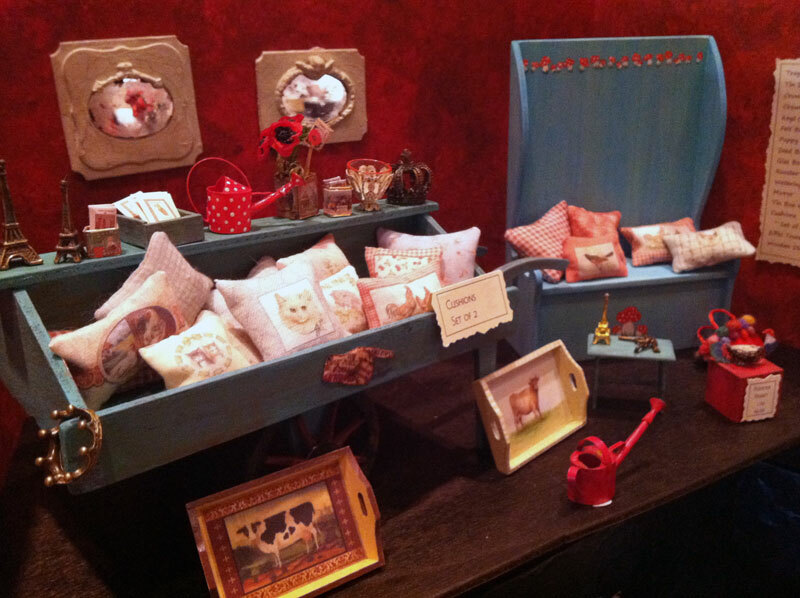 Everything that she makes – from watering cans to LED lighted minerals – is a perfect replica of real life! And she is a delightful person as well. Of course, I did a bit of shopping between helping customers. How can one fight the urge to scoop up everything in sight, when it is all new and different?? Fortunately, I was able to control myself... ahem.. to a certain degree. New items for the kitchen of the Tuscan Villa. Andrea thoughtfully found the bowl in the photo for my Tuscan Villa. It is by Sally Meekins. Every kitchen needs a few storage containers. 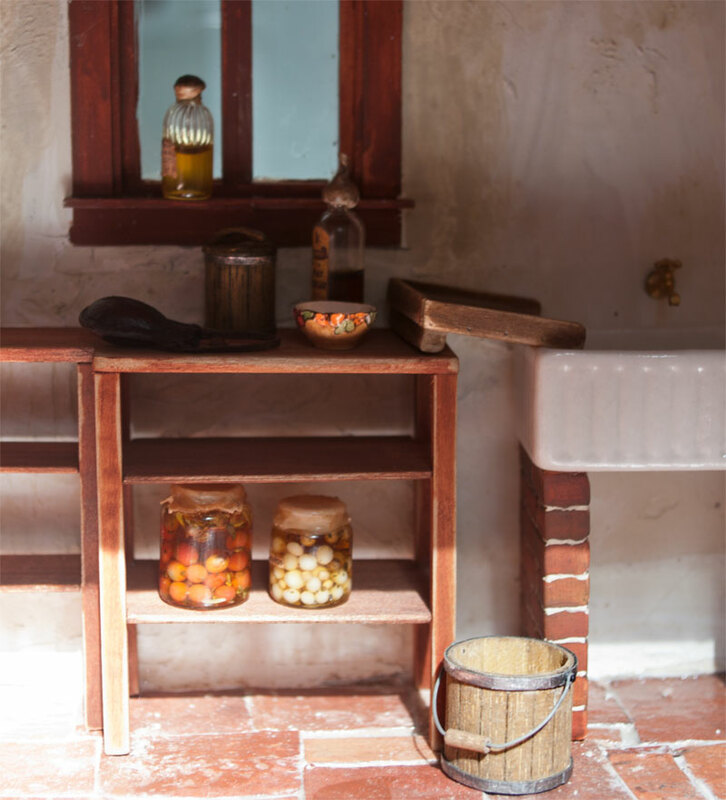 The leather hanging bottle, wooden bucket and wooden storage container are by S & S Eismont. The preserved tomatoes and onions and other glassware are from Country Treasures. Not surprisingly, one of the busiest tables was Petite Properties. I fell for a lean-to greenhouse kit. It is going to be attached to my 1:48 flower shop. 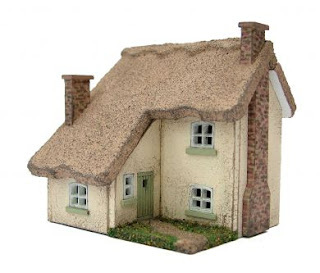 And then there was the impulse buy... a 1:144 Tulip Cottage kit. It was just too IRRESISTIBLY CUTE! I met Georgia Marfels from Germany. I can best describe her work as humorously dark and magical; it makes you want to look closely at every piece. 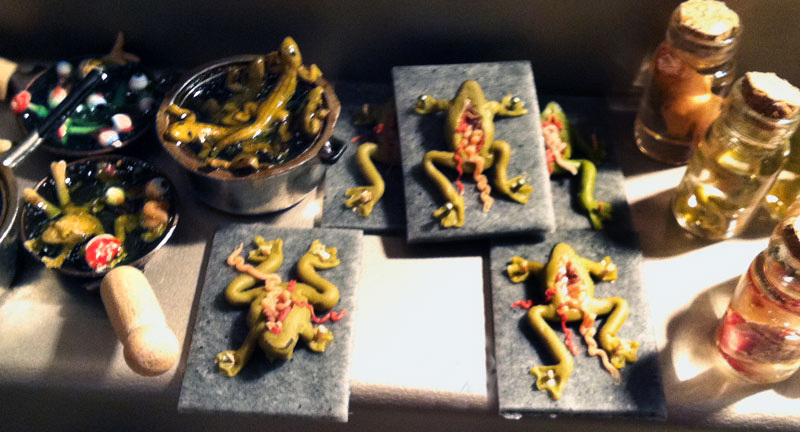 The dissected frogs brought back memories from high school Biology class! One of the best parts of traveling to the festival was meeting artisans that I hadn't previously known about. One such person is David Provan. 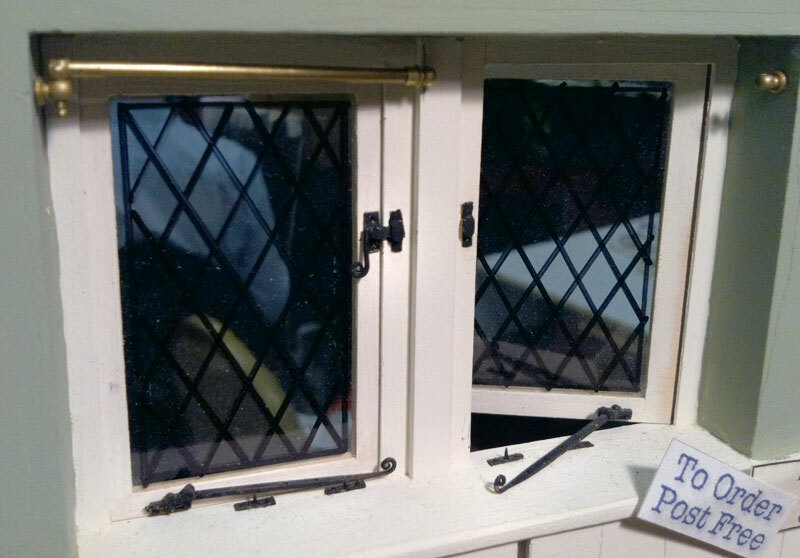 He makes incredibly detailed wood turnings and metal pieces; including this window hardware. He patiently explained how to install one of his door latches in my Tuscan Villa. Window hardware by David Provan. Andrea introduced me to Jana from Germany. Her books are works of art. 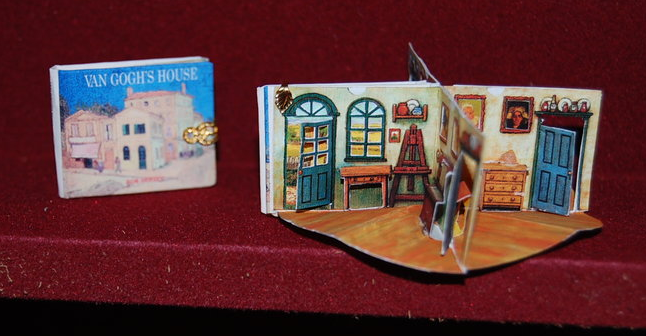 Pictured below is the Van Gogh's House pop-up book. More from London in the next post! Jana was my table partner at KDF last December ! I find her works awesome ! 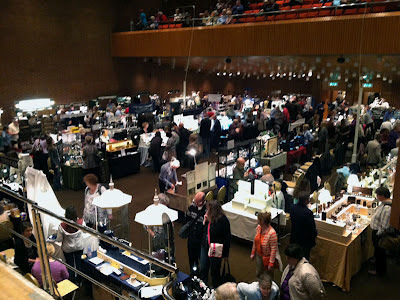 Beautiful show and beautiful miniatures! Thank you for this great post about the Kensington show. I love the hardware by David Provan!!! WOW you sure have put on a lot of miles since I saw you in Chicago. Oh, I wish I could go to the festival some day..